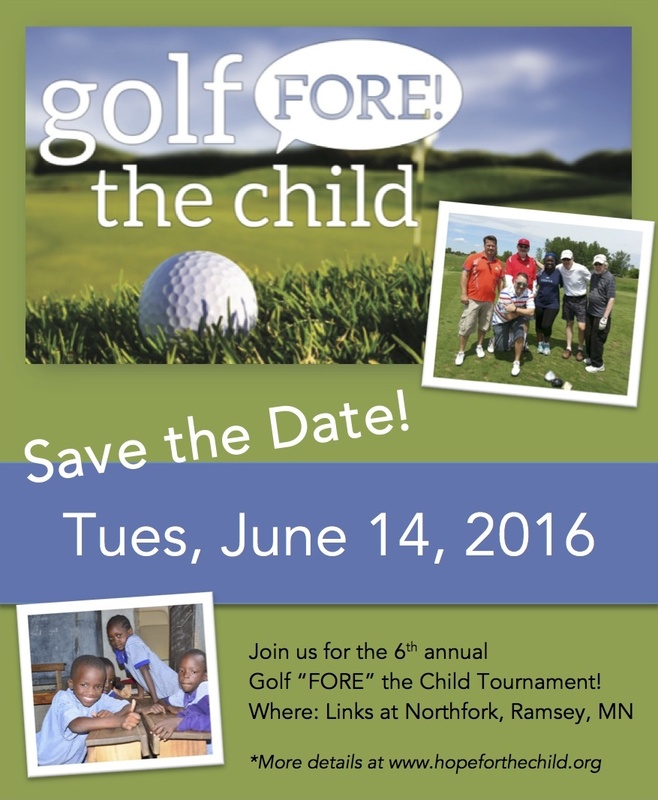 We're SO excited to announce a few details for our 6th Annual Golf "Fore" the Child Tournament! Who: Awesome golfers looking for a fun time and a way to "do some good"
When: Tuesday, June 14 at 11am shot gun. By attending and inviting others, you will help us reach our goal of raising $15,000 this year. These funds will help pay for the children's food, healthcare needs and learning materials expenses for a whole year! And please feel free to spread the word to all your golfer (and non-golfer) friends! If this event is anything like our last five tournaments - you will most definitely have a good time, all while supporting a great cause!